Brandon is a 29 year old Veteran who served from 2008-2016 in the Army National Guard. While deployed to Iraq in late 2009, he started having some unusual symptoms while eating. 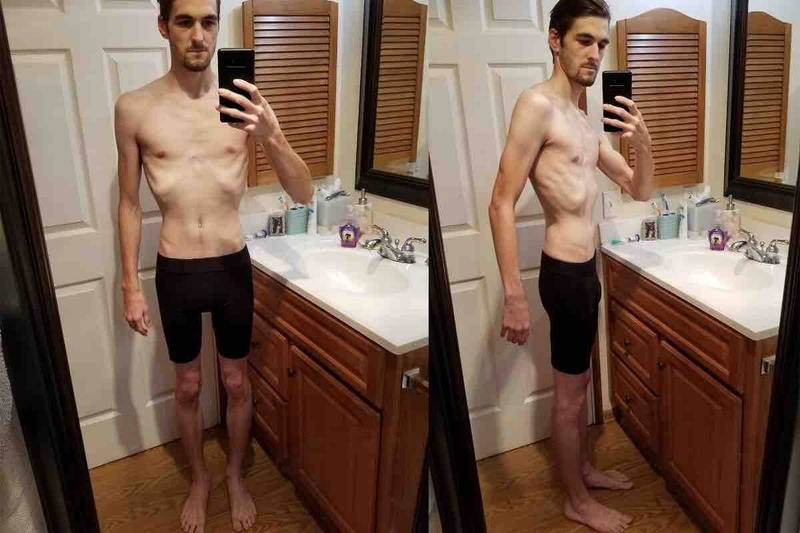 The symptoms quickly got worse to the point that he was nauseous and in excruciating abdominal pain whenever he started eating, so much so that he would be hunched over in pain for 30-45 minutes no matter how little he consumed. He contacted the Veteran’s Administration (VA) once he got home in 2010 and they began testing to determine the cause of his pain. Brandon underwent countless tests over the years and was told time and time again they all came back normal. However, we just found out that as far back as 2013 there have been multiple tests that indicated his celiac artery was compressed and we were never told about it because VA vascular doctors dismissed it. So many friends and family and people we have never met have told us not to wait on the VA to do the right thing and to do this now. So we decided that Brandon’s health is the top priority and we have to do everything we can to try and get him better once and for all, as soon as possible. He’s been through enough. We don’t know if the VA will ever change their decision and we can’t afford to wait it out. We completely understand if you choose not to donate knowing there’s a chance the VA could end up changing their decision and covering the surgery before we could raise enough money to pay out of pocket. Based on recent events, we don’t believe that will happen. However if that situation occurs, donations will first go towards travel/lodging/food costs for the family to get to Connecticut for the surgery and the 2+ week stay in the area for Brandon to recover enough to fly home and then towards any medical costs during the months of recovery. If there are additional funds left after that, we will attempt to make refunds at that time to the most recent donors if possible. Local Veteran is starving and you won’t believe why. Thank you for taking the time to hear this story. I’ve provided the most condensed version of events below. Here we are 9 years later, and he’s still in pain whenever he eats. His weight has gone from 160 lbs to 109 lbs. He is malnourished and has numerous issues due to his current state. We finally found out about MALS (Median Arcuate Ligament Syndrome) in 2017. The only reason he has a diagnosis is because he sought medical advice outside the VA on his own with Dr. Richard Hsu, a MALS Specialist. Vascular Surgery is currently the only treatment. Both Brandon’s primary VA doctor and a doctor he saw at OHSU have strongly recommended he have surgery with the Dr. Hsu outside the VA, but VA administration has ignored their own doctors’ advice and denied the request, because the VA has surgeons. However, both of the Portland VA surgeons Brandon was referred to after that denial have also noted in his file that he should be seen by Dr. Hsu since he has a lot more experience with this rare condition. Our veterans deserve to have the most qualified doctors operating on them. This isn’t the type of procedure you can simply do over when done improperly the first time. To this day, Brandon would not be diagnosed through the VA had he not sought help on his own with Dr. Hsu. We’re requesting help either with sharing Brandon’s story to help bring to light issues within the VA, or with donations to help cover the surgery and/or cover additional medical and travel expenses. If you prefer to donate by check as opposed to GoFundMe, please send a message through this page by clicking the envelope next to Team Donovan and we can send you P.O. Box information.